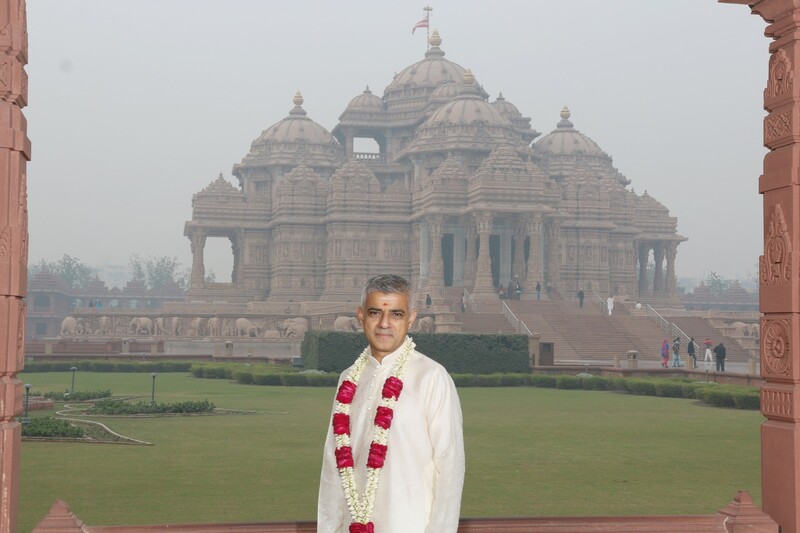 Mayor of London, Sadiq Khan, visited Swaminarayan Akshardham in New Delhi to experience India’s beauty, culture and values. 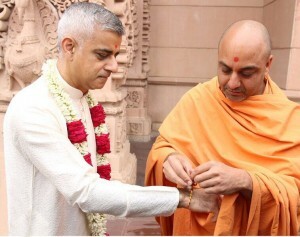 On behalf of His Holiness Mahant Swami Maharaj (spiritual head of Swaminarayan Akshardham and BAPS Swaminarayan Sanstha), senior sadhus traditionally welcomed Mayor Sadiq Khan and delegation with a garland of flowers, tilaka (vermillion powder) and the tying of the sacred kalva (sacred thread). After admiring the Mayur Dwar (Peacock Gate), Mayor Khan visited the Swaminarayan Akshardham Mandir where he witnessed the world’s ‘Largest Comprehensive Hindu Temple’. 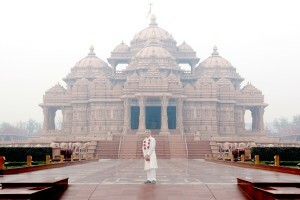 He offered his respects and admired the Mandir’s art and architecture. Mayor Sadiq Khan visited the Gajendra Pithika (Elephant Plinth) that includes 148 life-sized carved stone elephants depicting message of social harmony, peace and spirituality. 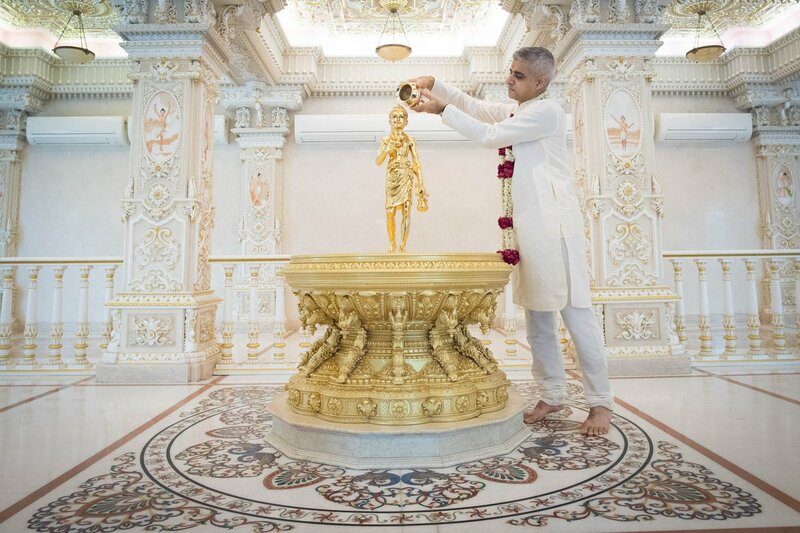 With prayers for world peace and harmony, Mayor Khan offered ‘abhishek’, the ceremonial pouring of sanctified water from 151 holy rivers, lakes and ponds across India on the sacred image of Shri Neelkanth Varni. 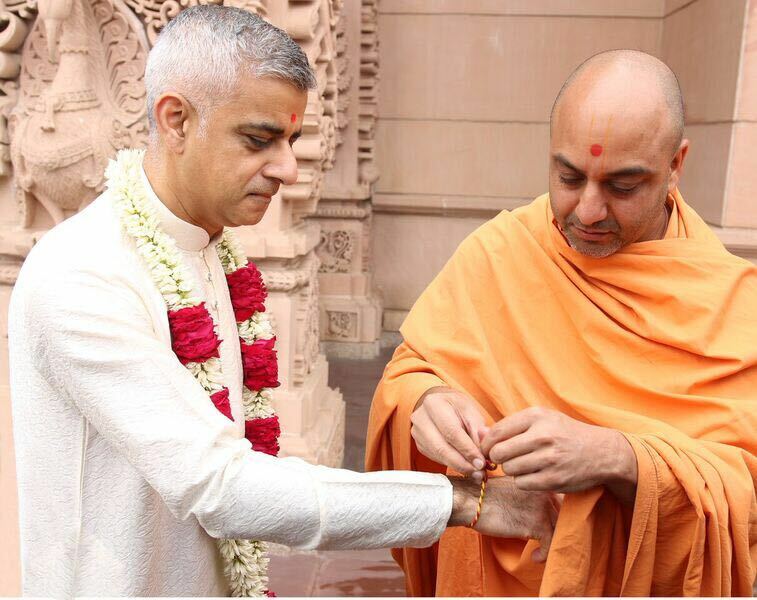 Thereafter, Mayor Khan experienced the educational exhibition Sanskruti Vihar – a cultural voyage that sails through 10,000 years of India’s glorious heritage, highlighting India’s contributions to humanity through the ages.